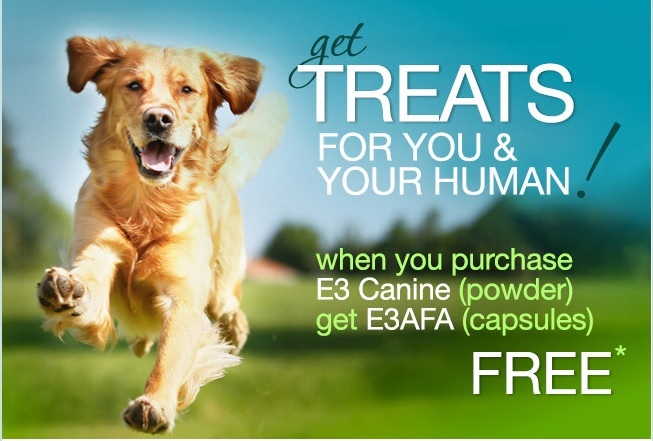 Free E3AFA with E3 Canine Purchase! SPECIAL OFFER: Buy a 50g or 150g E3 Canine superfood powder, and receive a special gift for yourself – 60ct E3AFA! ($18.85 value) Use coupon code: CANINE2015 in the checkout to receive your FREE gift. Offer runs Oct. 15th – Nov. 15th, 2015. Have an itchy pup? Try E3 Canine – superior nutrition for puppies and adult dogs! July Special – Get a FREE 8 oz bottle of E3Live Apple/Lemon Flavor! 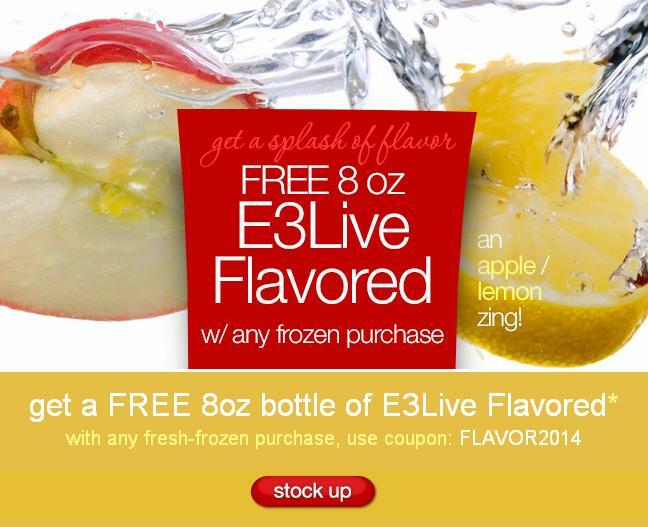 For the month of July, we are giving a FREE 8 oz bottle of E3Live Apple/Lemon Flavor when you purchase any of our fresh-frozen products on www.e3live.com using coupon: FLAVOR2014, stock up today! Our E3Live flavored has a fresh light apple/lemon citrus flavor. We have added a light flavoring of Organic Apple and Lemon resulting in a refreshing citrus taste that isn’t overwhelming or over-sweet. 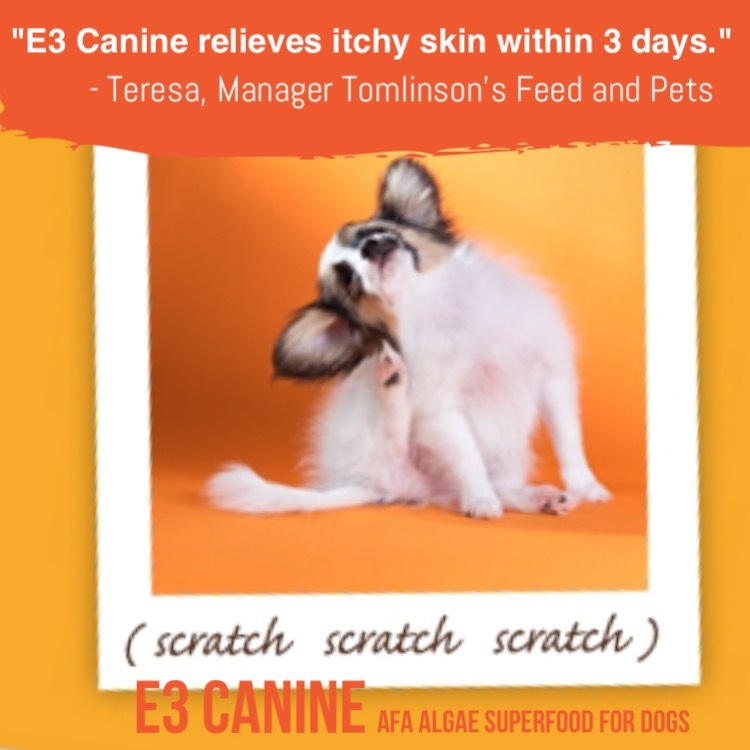 E3Live is 100% Aphanizomenon flos-aquae blue-green algae (AFA for short) – a certified organic wild-harvested Nutrient Dense AquaBotanicalTM considered by renowned health authorities to be nature’s most beneficial superfood. Our E3Live AFA is a non-GMO Heirloom variety.E3Live is the frozen/liquid form of AFA, which is superior to all other forms of AFA. E3Live is the only company to offer AFA in this fresh-frozen form. Physiologically, E3Live may help restore overall body/mind balance in numerous ways. Its field of action simultaneously includes the immune, endocrine, nervous, gastro-intestinal and cardio-vascular systems. Nutritionally, E3Live provides 65 vitamins, minerals, amino acids and essential fatty acids. It is the most nutrient dense food known to mankind and a rich source of chlorophyll. E3Live is a gift of nature, a miracle food. Try some today! Be sure to use coupon: FLAVOR2014 during checkout for your free bottle!